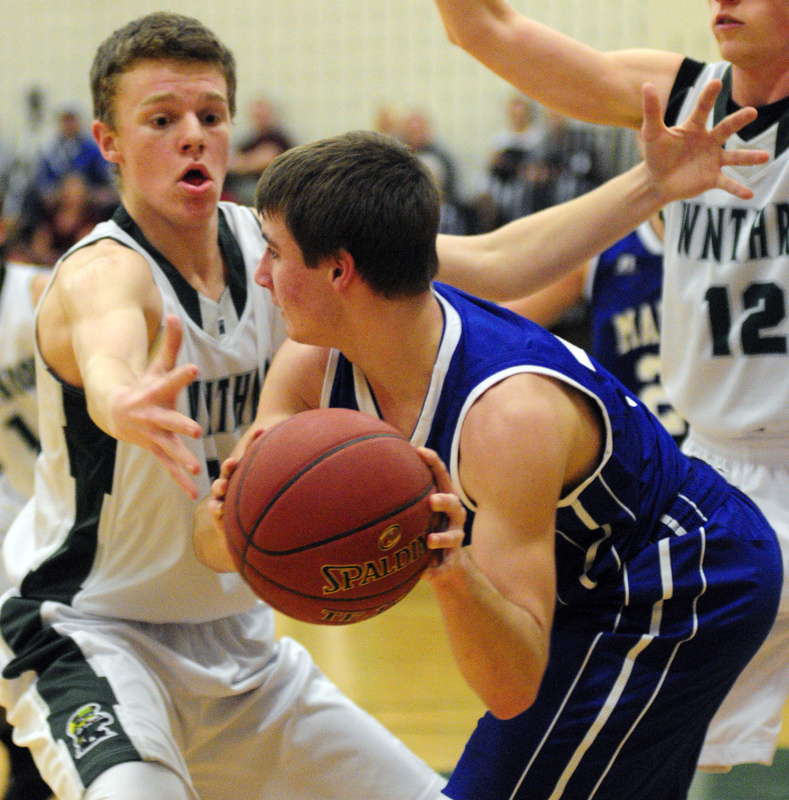 Nate LeBlanc scores 18 off the bench in victory. 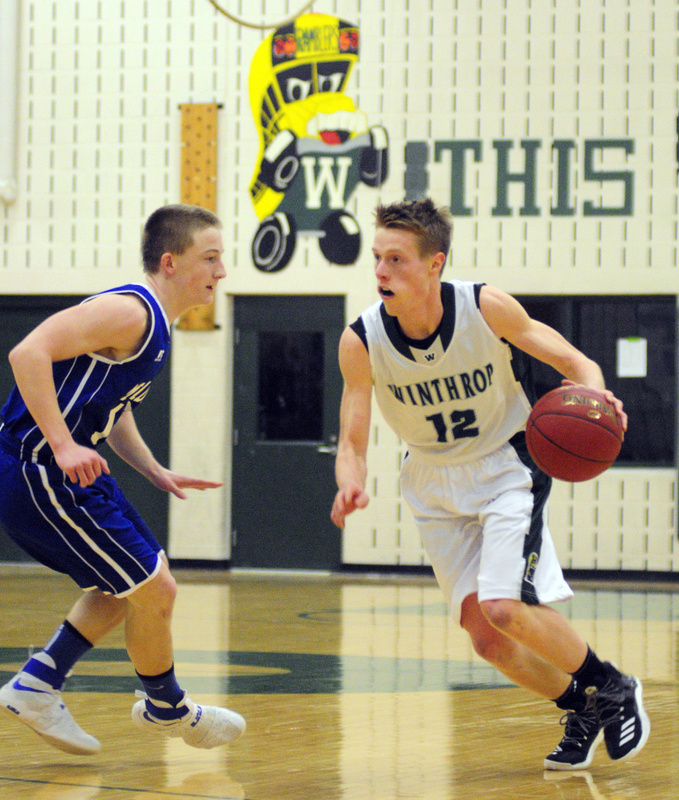 Winthrop's Nate LeBlanc, left, defends Madison's Sean Whalen during a game Tuesday in Winthrop. 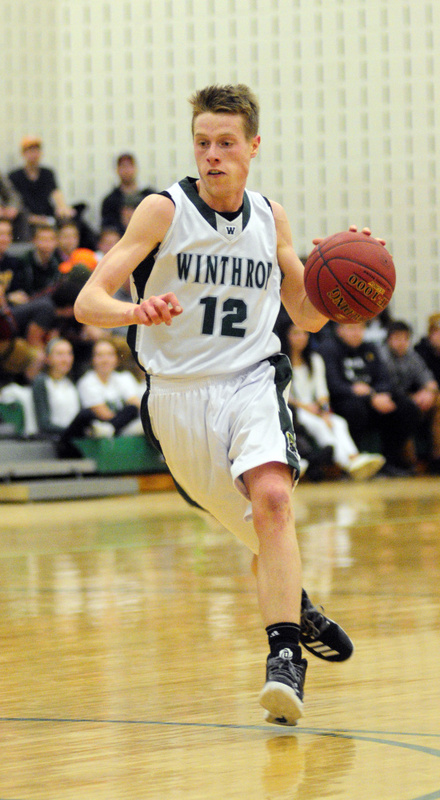 WINTHROP – He doesn’t often start, but Nate LeBlanc doesn’t care. As long as he makes an impact like the one he had Tuesday night, the Winthrop sophomore couldn’t be happier. LeBlanc came off the bench to score 18 points in one of the season’s biggest games to date, leading the Ramblers to a 52-38 victory over Madison in a showdown of Mountain Valley Conference unbeatens. 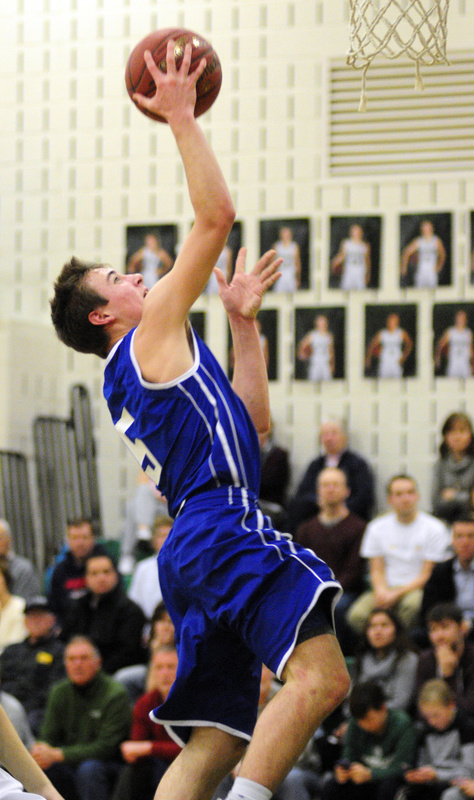 Jacob Hickey added 15 points and Cam Wood had 11 for the Ramblers, who stayed perfect at 8-0. LeBlanc had six points in the first half as the slow-starting Ramblers took a 21-13 lead, but he was at his best in the third quarter to ensure there would be no rally from the Bulldogs (8-1). Winthrop led 24-13 but had missed five of its first six shots in the third until LeBlanc swished a 3-pointer with 3:39 left, prompting Madison coach Jason Furbush to call a timeout with the lead up to 14. The stoppage in play did little to stop LeBlanc’s hot touch. He followed a Madison basket with another 3-pointer on the next trip down, then hit a jumper along the baseline two possessions later to make it 34-17. 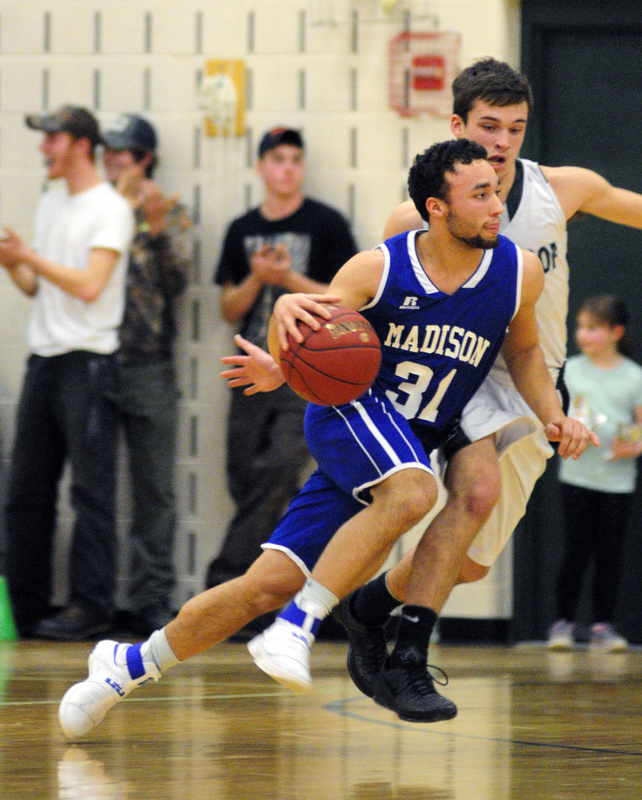 Madison, which was led by Mitch Jarvais’s 15 points and Sean Whalen’s 10, tried to rally in the fourth, getting a Whalen steal and coast-to-coast finish to cut the deficit to 45-35 with two minutes left, but free throws from Hickey and LeBlanc iced the season’s first defeat. Neither team was sharp during a first half that saw Winthrop leading only 11-8 after one quarter and the Ramblers and Bulldogs shoot 30 and 31 percent, respectively. Madison came prepared with an approach to handle Winthrop’s most dangerous options. 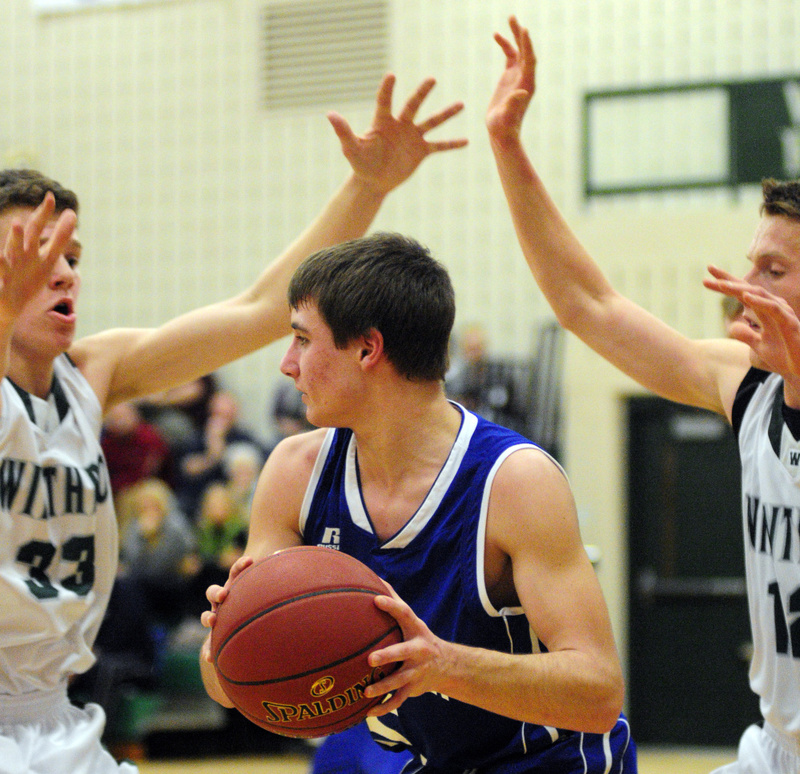 Evan Bess, the Bulldogs’ best perimeter defender, guarded Hickey and held the high-scoring Rambler to a cold first half. 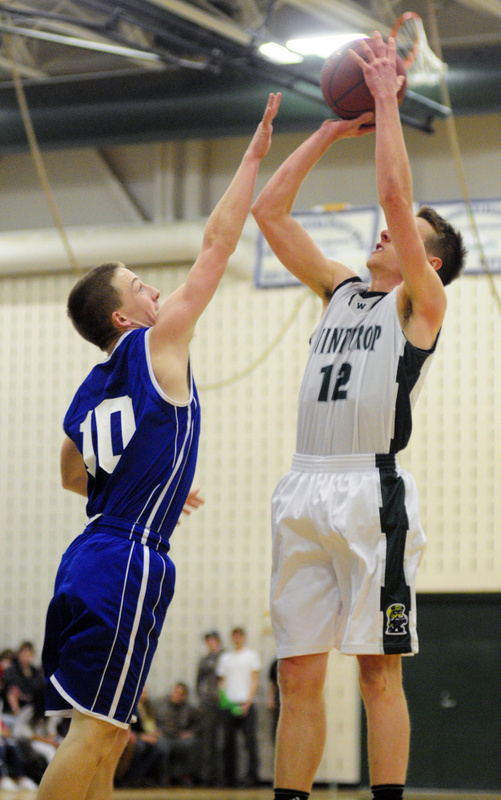 Jarvais defended 6-foot-4 Garrett Tsouprake and held him to three points. 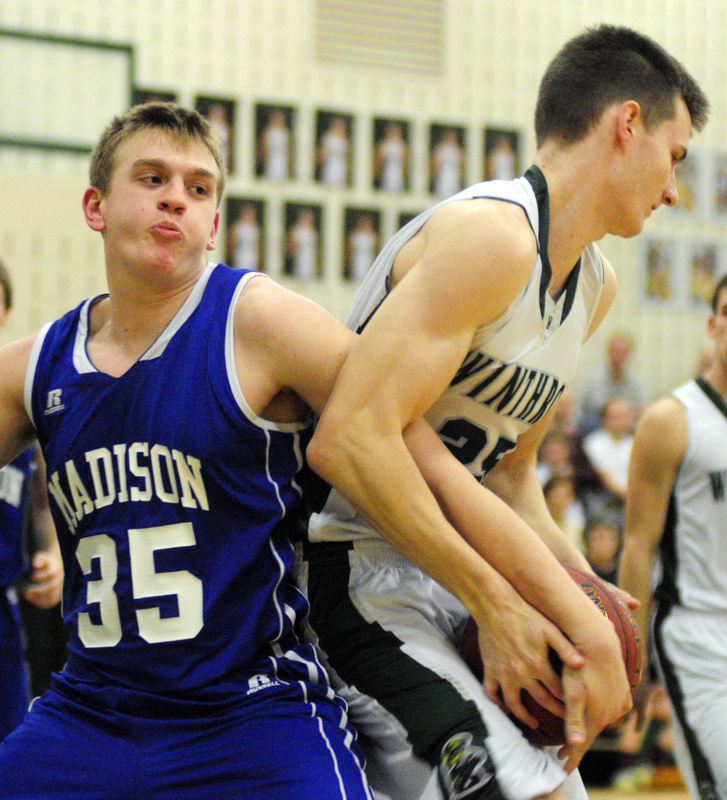 And Madison was sure to have two defenders swarm to Cam Wood (six rebounds) in the post, limiting the damage the 6-8 center could do with putbacks. According to MacArthur, the defensive approach was nothing unusual to deal with. 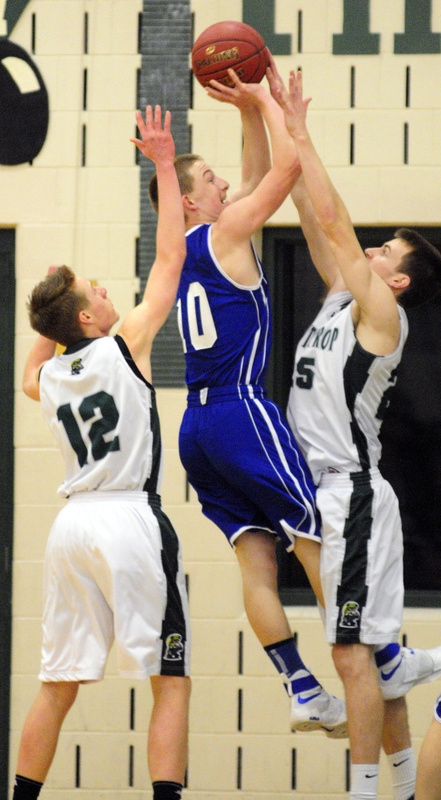 The teams were keeping up the sluggish play until Jared McLaughlin, another sophomore off the bench, provided a spark. Winthrop’s lead was only 13-10, the Ramblers had missed 10 of their first 11 shots of the second quarter and Madison had the ball in search of the tying basket. McLaughlin took a charge from Bulldogs guard Nick Morales with 3:06 to go in the half, however, returning the ball to the Ramblers. Two possessions later, the sophomore guard drained a 3-pointer to up the advantage to 16-10, Winthrop’s largest lead to that point. The series seemed to rejuvenate Winthrop, which got a 3-pointer from LeBlanc on its next trip down and a layup from Wood on the possession after that to go up 21-11 with 1:36 to go in the half. 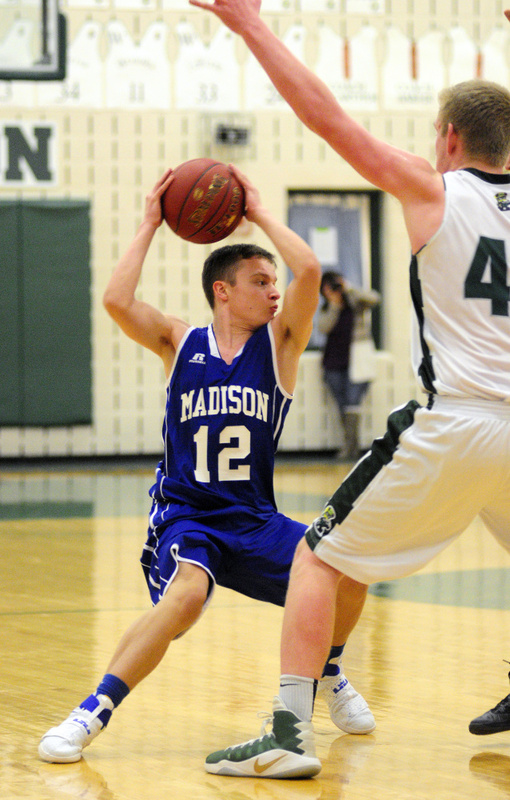 Madison finished the half with a buzzer-beating layup from Jarvais, its only field goal of the quarter. 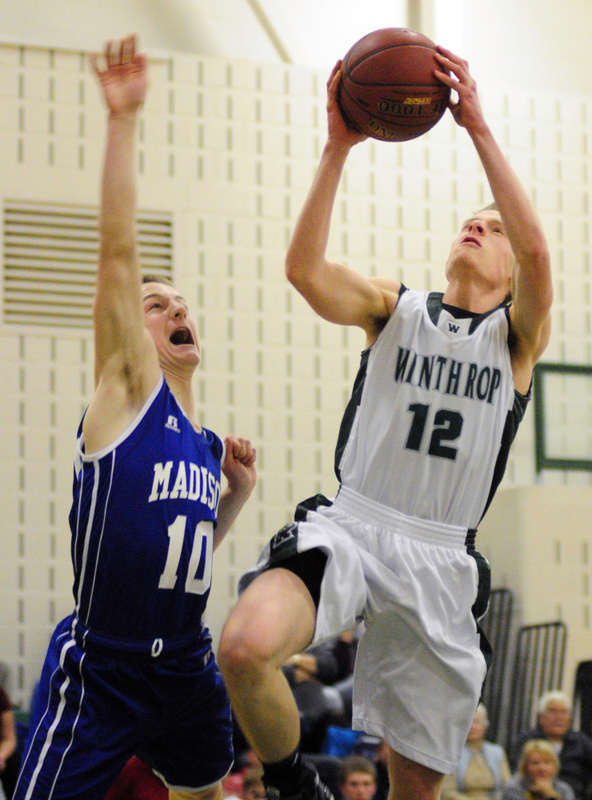 Madison’s defense had turned heads early, but it was Winthrop’s defenders that brought home the win in the second half. 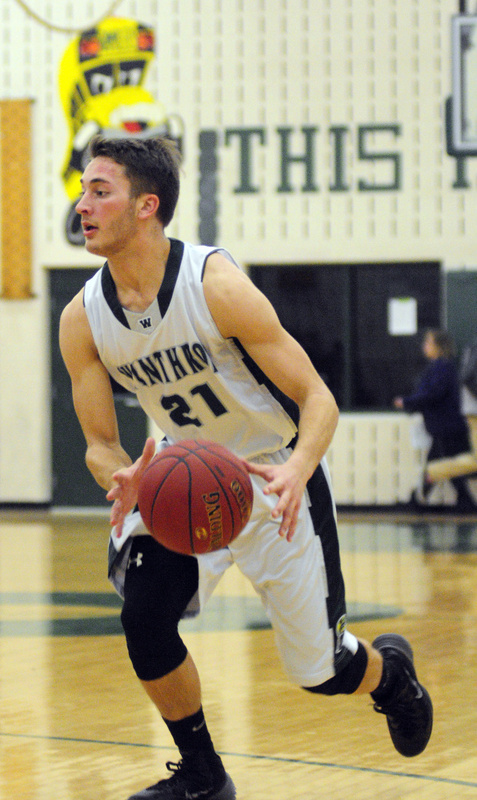 The Ramblers kept Jarvais contained throughout the contest, and a team effort led by Andrew Pazdziorko to keep slashing guard Morales from driving the lane kept senior to four points, all in the fourth. It may not have been pretty, but it was a little bit of everything — just what the Ramblers needed to keep the shine on a, so far, unblemished season.